New technologies and policies are leading to substantial changes in the energy sector. How can the Utilities of the Future be a key driver in decarbonizing our energy system? How will the future electric grid enable customers to change how they purchase and sell energy? 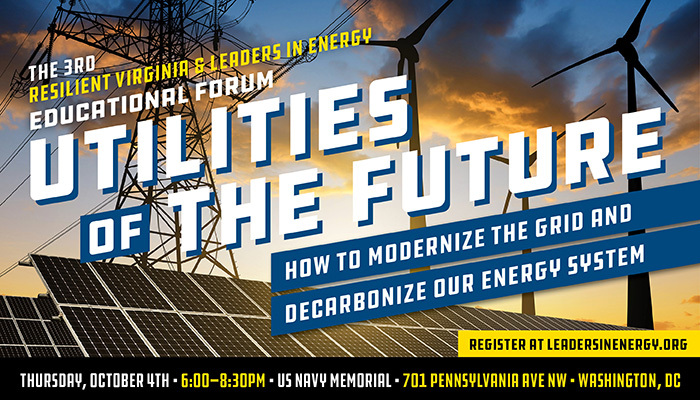 This Leaders in Energy event, in partnership with Resilient Virginia, will explore these questions and related topics (see these listed below) to examine pathways to a new paradigm for the electric grid. Our industry experts are from the Edison Electric Institute, the Environmental Defense Fund, and the Massachusetts Institute of Technology (MIT) Energy Initiative. This will be an excellent opportunity to meet those in our Leaders in Energy community who are interested in and working on these issues. See the recap article here on our utility event last year at the Edison Electric Institute last year to learn more about this popular event. Speakers: Dr. John Caldwell, Edison Electric Institute’s Director of Economics, will discuss how the electric grid can evolve to one in which customers participate in energy transactions like buying and selling energy. Cyril Draffin, MIT Energy Initiative, will overview a framework for regulatory, policy, and market reforms that foster utilities of the future. Elizabeth Stein is an attorney in the Environmental Defense Fund’s Clean Energy Program and will present an overview of the potential for decarbonizing electric supply through grid modernization and distributed energy based on lessons learned to date from New York State’s Reforming the Energy Vision. Location (Please note: The event venue has recently changed from the Edison Electric Institute to the U.S. Navy Memorial which is located at the same address and Metro Station. The time has been changed from 5:30 to 6:00 pm). Ticket includes program, pizza, and beverages. Early bird prices are available through Thursday, September 27th. Jobseeker and student pricing also available. See directions here for travel by Metro or car. Note that the venue has been changed to the U.S. Navy Memorial which is across the street from the Edison Electric Institute). 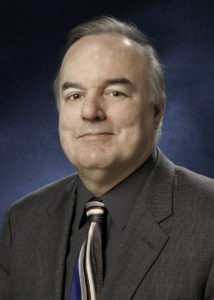 John Caldwell, Ph.D., is the Director of Economics at the Edison Electric Institute (EEI). He has been working with industry consultants and colleagues at EEI in the development of new recommended regulatory policies and business models that will better enable investor-owned utilities to contend with the many imminent and potentially significant changes facing the electricity industry. Dr. Caldwell was a speaker at Leaders in Energy’s microgrid event in 2017. He will focus on grid modernization, electrification, and the future of the electric grid including transactive energy and a participatory grid. Dr. Caldwell has worked in the electric and gas utility industry for over twenty-five years, first at the Illinois Power Company (now part of Ameren) as a planning engineer, and then at NiSource, where he was involved in the development of long-term forecast models for energy use and peak demand, the introduction of innovative alternative rate designs, and the design and implementation of financial hedging strategies and risk management systems to support these products. Dr. Caldwell holds a B.S. in electrical engineering from the University of Illinois at Champaign-Urbana, an MBA from the University of Illinois at Springfield, an M.S. in mathematics from the University of Iowa, and a Ph.D. in economics from the University of Illinois at Chicago. Cyril Draffin is a project advisor to the Massachusetts Institute of Technology Energy Initiative. 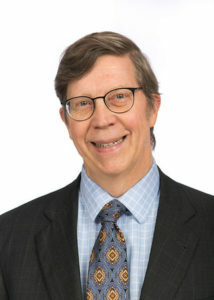 His expertise includes low-carbon energy including solar, other renewable energy generation, and nuclear; how the electric grid can be a key driver in decarbonizing our energy system; cybersecurity of electric utilities and other energy systems; gas and coal production and carbon capture and utilization; information technology; and strategy. He will share the MIT Utility of the Future report findings. Previously he was the director of strategy for Northrop Grumman Corporation with focus on cybersecurity, homeland security, information technology, and defense strategy. Earlier he was vice president of an American Stock Exchange traded venture capital company making investments in information technology; was a director in the U.S. Department of Energy with a focus on solar, biomass, natural gas, coal, and industrial energy usage; and was a nuclear and environmental engineer at the Bechtel Power Corporation. Mr. Draffin has BS and MS degrees in Chemical Engineering from MIT. Elizabeth Brooke Stein is an attorney in EDF’s Clean Energy Program, focusing on the development of a low-carbon energy system. She is the lead author of the Environmental Defense Fund (EDF) a whitepaper titled “Driving Environmental Outcomes Through Utility Reform: Lessons from New York REV,” which is a roadmap for electric utilities seeking to accelerate decarbonization, or the elimination of fossil fuels. It examines the approach New York has taken to transform its 100 year-old electric system from a centralized, one-way grid to a multi-channel network of power and information. Ms. Stein engages in state and regional proceedings to advocate for the promulgation of technology and practices that improve the flexibility and performance of the electric system, and enable the full deployment of more low-carbon resources, including low-carbon demand response and intermittent renewable resources. Since 2012, Stein and her colleagues in EDF’s New York office have been working to ensure that the post-Sandy transformation of New York’s electric system is built on a foundation of resiliency and sustainability, not just durability. 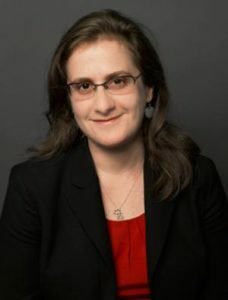 Ms. Stein has a Doctor of Law – JD is from the New York University School of Law and a Bachelor’s degree from Harvard University in Social Studies.